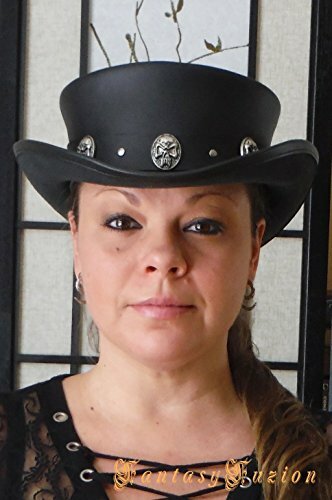 This is a Short Leather Top Hat. There is No Lining Inside. It is a Made-To-Order Item, Customer as to Take his Exact Head Measurement in Inches. The Dimensions of the Hat is: Crown Height 3 1/2 inches, Brim Width 2 1/2 inches. If you have any questions about this product by FantasyFuzion, contact us by completing and submitting the form below. If you are looking for a specif part number, please include it with your message.